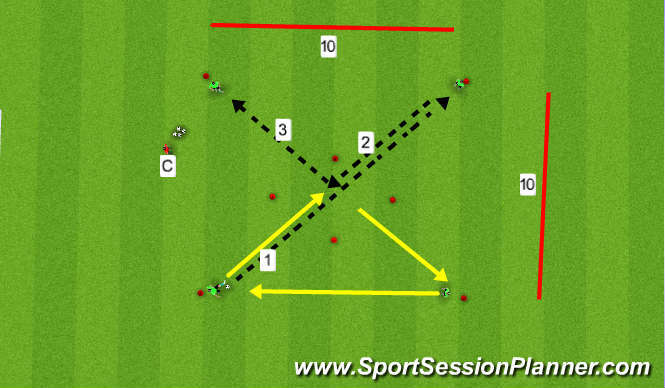 Set up: 8 cones 4 cones set up 10 x 10 grid and 4 cones off set in middle to form passing lanes. Intructions: Players move ball around the outside then periodically play penetrating pass thru the middled grid. Begin with unlimited touches build to limited touch.